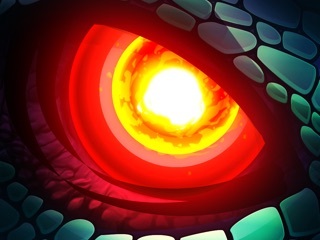 If you’ve ever dreamed of ruling your own fantasy world populated with scaly serpents and other mythical beasties, Dragon City is a treasure trove. It’s delightfully satisfying to breed, hatch, and raise dragons with an array of elemental abilities, and then enter them in Pokémon-style battles against friends or exciting league tournaments. If you’re a more peaceful dragon-lord in search of relaxation, simply clear land, build habitats, and develop enough farms to feed your ever-growing population of wily wyverns. 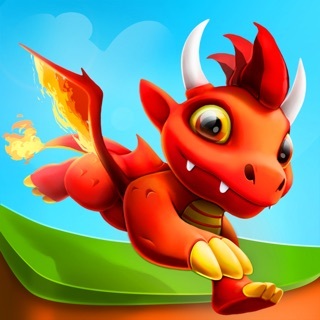 This is a great, addictive game, and SocialPoint is often coming up with new additions, challenges, and dragons. My only complaints are the ads, ancient world crystal upgrading, and the difficulty of breeding certain dragons. I’ll start with the adds. I get having a “watch videos here and get rewards” button. But I wish ads didn’t pop up in the middle of the game unnecessarily. Simple as that. Next, Ancient World crystal upgrading. Too slow. I calculated that it would take 40 minutes to convert my 806 Raw Rubies into Clear Rubies. 40 minutes. FORTY MINUTES!! I wish there was a “Create Max” button that would upgrade as many Rubies as possible with just one click of a button. It wouldn’t even be difficult to program. Finally, the breeding problems (which may or may not be intentional). When trying to breed certain type combinations such as Nature-Electric, Fire-Ice, or Terra-Metal, it wouldn’t let me breed them. If I tap the Nature Dragon, the Electric Dragon icon would turn whitish as if it were busy(this not letting me select it)... But ONLY when the Nature Dragon was selected! I had similar problems with other type combinations as well. And also, some specific dragons seem very hard to get. 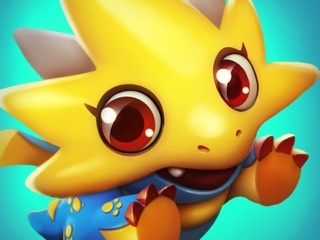 For example, when I breed Terra and Electric dragons, I always get a Star Dragon or a Sky Dragon, and never a Chameleon Dragon. So how, must I ask, do I obtain a Chameleon Dragon? With that, I take my leave. First of all, I love this. It’s an addicting game and has great graphics. You can get tons of cool dragons. You can also battle others and summon hard-to-get dragons without spending lots in-game money. But here’s somethings I don’t understand, why are you guys at socialpoint so greedy?I’m honestly surprised this app doesn’t cost money to download. The prices have just been going up ever since I started. It’s scaring some players away because of how much you have to play just to get past level 20. For example, the Jade dragon. It costs 250 GEMS (they cost money!) but to breed it you have two of the first dragons you get! Which brings me to my next point... Breeding. Why can’t you but eggs that you bred in storage?!?! Any other way you get an egg you can but, WHY? Not to be mean but, REALLY. It takes FOREVER just to breed them and wait to another one to hatch. And to breed better dragons, you have to use your better dragons. So WHY can’t I just but my egg in storage, free up the breeding cave, and have more dragons to battle with?!? Sorry for yelling, I know that you are constantly fixing and improving all of you games but I find it illogical that you can’t put it in storage and GREEDY how high you put the prices on this game. This is a request from MANY of your customers and users, so please listen.